Our latest look at the next Transformers film features very little of the historical elements we’ve seen before. Instead, it’s all about the future... and even beyond Autobots fighting Autobots, it’s a very bleak future for everyone involved. He seems to know a thing or two about giant transforming alien robots. though, including the real reason why the Cybertronians keep coming to Earth. Hopefully he can tell us before Optimus Prime turns evil and starts fighting his fellow Auto—wait, nope, too late. 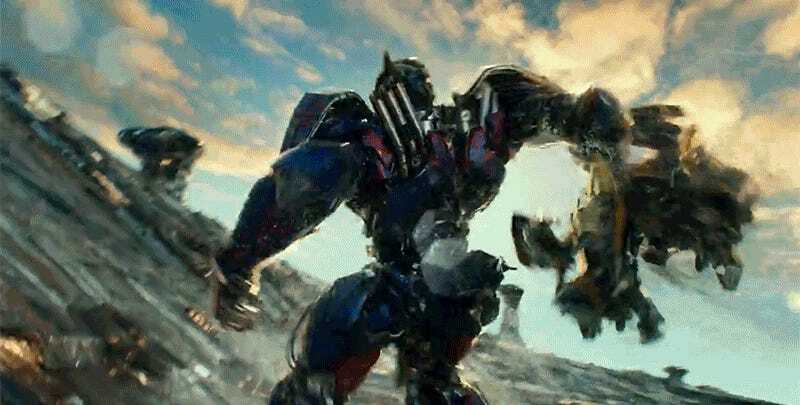 Transformers: The Last Knight hits theaters in June. Update: On Sunday, Michael Bay uploaded the extended version of this Super Bowl spot, with some new footage.